The Degauss Labs has been known in the industry for its Android-friendly headphones. The Dual Driver is the best up to its mark, but we're not here for them. Degauss’ latest experiment with audio engineering, the Noir, is the most recent installation that portrays their commitment towards quality and excellent sound production accessories. The Noir earphones are a bit more expensive than their Dual Driver sibling. However, these are the worth the invest and little hike in the price. 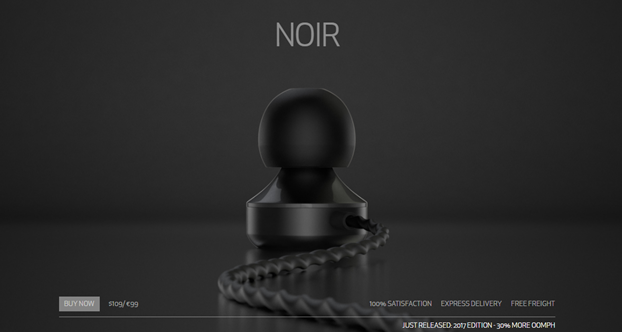 So, let's get started with the Noir Earphones by Degauss Labs. At first glance, the Noir looks quite like the Dual Driver, except the color scheming brings out a blend of flat polished black surfaces, the Dual Driver, on the other hand, are gold and black. These earphones also feature the Degauss Labs’ three-button in-line remote, the signature components that adds a different look to the earphones. But that's it. 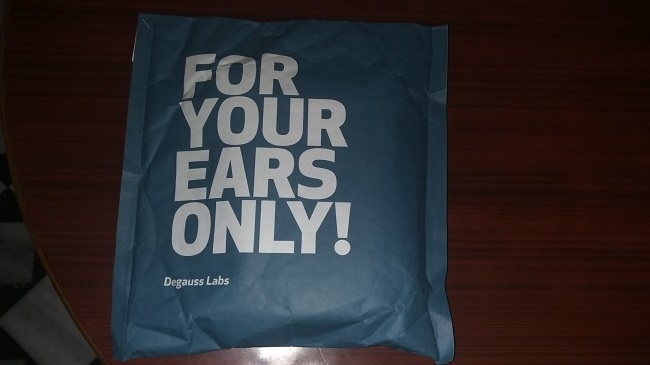 The earphones are available on the official Degauss Labs website. You can get the Noir 3-Button earphone for a reasonable price of $109. Moreover, the company also offers a specialized addition for the iPhone 7 with lightning cable jack at the cost of $129, and the USB-C edition for new smartphones like One Plus 3T at the same of $129. The price is a little more than its other competitors but with so many accessories and the purest music pouring through the earphones can be a good bargain. The Noir has a rugged aluminium housing surrounding the headset bases but weighs less than the Dual Drivers (1 gm). It also sports a fine twisted-pair rubber-coated wire (1.2m) instead of the flat ribbon-like cables. 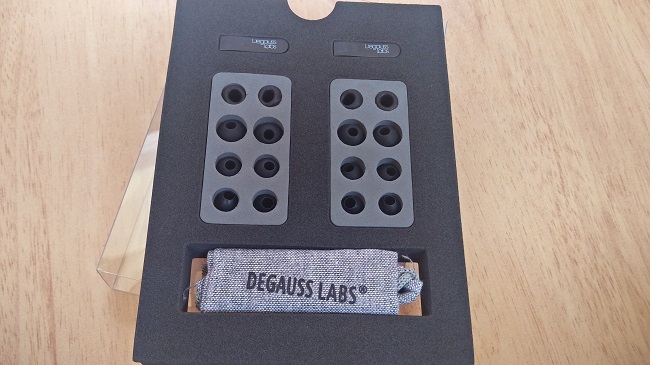 The Degauss Labs' packaging was entirely different from all the headsets I've reviewed so far. The box was in fact designed with laser-cut foam to make all the accessories safe and easily assessable. 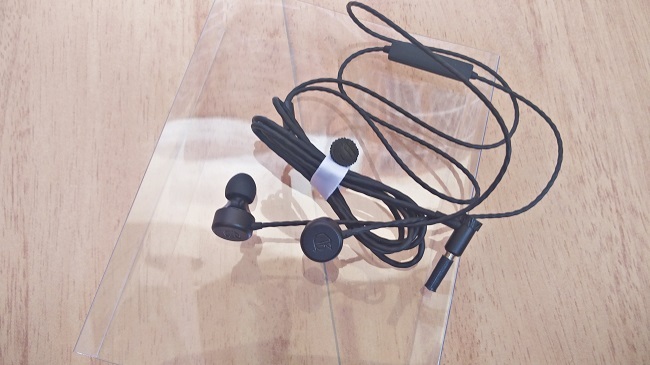 Apart from the earphones themselves, the box also contained two distinct sets of silicone earbuds, a total of five different sizes and additionally two pairs of individual noise-isolating earbuds, which are made of compressible foam by Comply. Surprisingly, the box also had some shirt pins that could be used to attach the cable to the shirt to avoid any tension. An airline adapter, a 3.5 mm jack splitter to listen through two earphones, and finally, an owner’s manual. If this was not it, the company also provided a carrying pouch. I tested the Noir with more than four different devices including my iPhone 6, Mi Note 3, Nexus 5 and a Moto M. Even though it is a Hybrid In-Ear it works fairly well with a standard smartphone, an amp with a little output independence is not necessarily needed. To get the most out these earphones, I had them compared with the Audio-Technica ATH-CKX9IS, and it didn't disappoint me. Talking about the output, these earphones seemed to have some very powerful and bass heavy in-ear headphones; the Noir has thick bass friendly ear muffles that solely focus on enhancing the mid bass and the upper bass. It also hosts the upper sound levels starting from 20Hz. For some, the Noir may be too bass heavy, especially with genres like classical. But luckily the Noir reacts very well with an equalizer such as the equalizer of the Neutron Player for smartphones. It is definitely a Bass Monster. For a headphone with a V-shaped sound signature, the mids are very clear, present and detailed. Perhaps the Balanced-Armature-Driver is doing its job there. There is a difference between models with just one dynamic driver and models like this one. The highs are like the bass a bit raised, but not too much that it would be fatiguing. They are pretty harmonic and have no nasty peak. Right away it is noticeable that the Noir has greater detail than the most item's for this price. You can notice details that you hear pretty seldom in this price range. The disadvantage is that you’d also need good quality music files. The one uncertain thing about the earphones is that 128 kbps songs don't go well with them. Apart from the excellent resolution, the large soundstage is immediately striking. 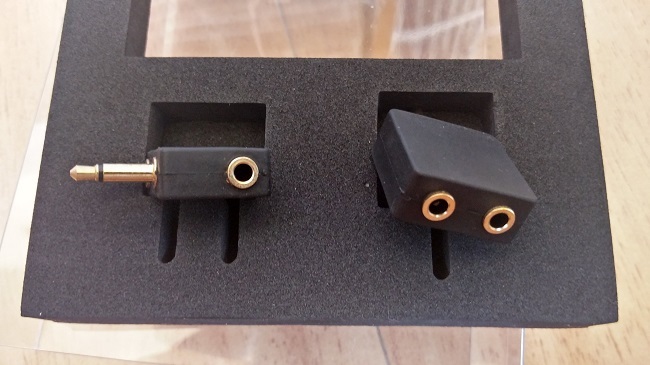 The Noir is likely to be the in-ear headphones with the biggest sound stage below 100 Euro with a closed back design. The Noir isolates pretty well, especially with the foam tips. The Noir is an in-ear headphone with a dynamic driver and a balanced armature driver for an incredibly good price, other in ears with a dynamic driver and a balanced armature driver can sometimes cost twice as much. 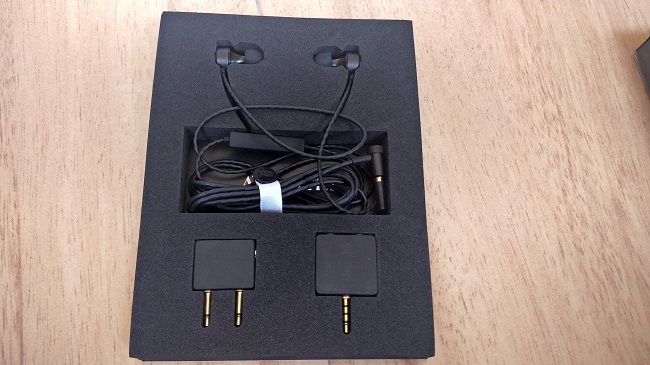 So, this was my take on the Noir Earphones, a powerful sound beast with massive bass outputs. I hope that this review describes of what it brings to have an in-ear with a dynamic and a balanced armature driver at the same time. 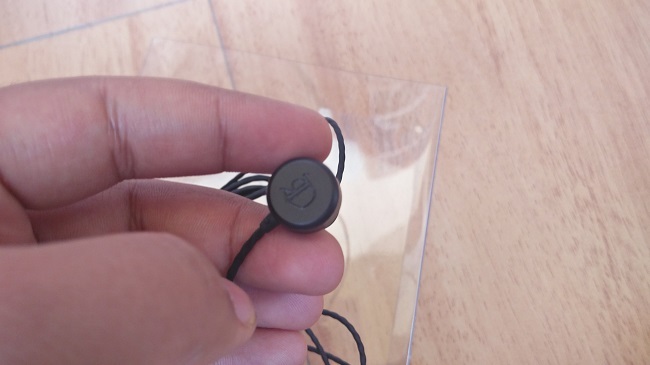 Do share your thoughts and let me know if you’re going for the Noir Earphones. They are available at multiple International E-Commerce sites. Moreover, you can also get them import from the official Degauss Labs website.